Wanted: Your Awesome Photos of Pack Events! 1. Email. 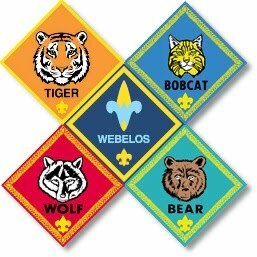 If you just have a few pictures and the file size isn't too large, you can email pictures to webmaster.pack121nwa@gmail.com. 2. Upload to Google Drive. If you have many pictures or the file sizes are too large for emailing them to be practical, you can upload your pictures to our website's Google Drive by clicking HERE. Instructions for uploading pictures can be found HERE. 4. Other options may include physical media such as a photo CD, thumb drive or memory card. Contact the webmaster if any of these options would be more convenient for you. Any pictures you choose to share with us may be posted to this website, the Pack's Facebook Page/Group, and could possibly be used in the creation of media such as newsletters, slide shows, or other applications. We respect your family's privacy and will NEVER post names with any pictures. If you have any questions or need help, feel free to contact the webmaster. Thank you!